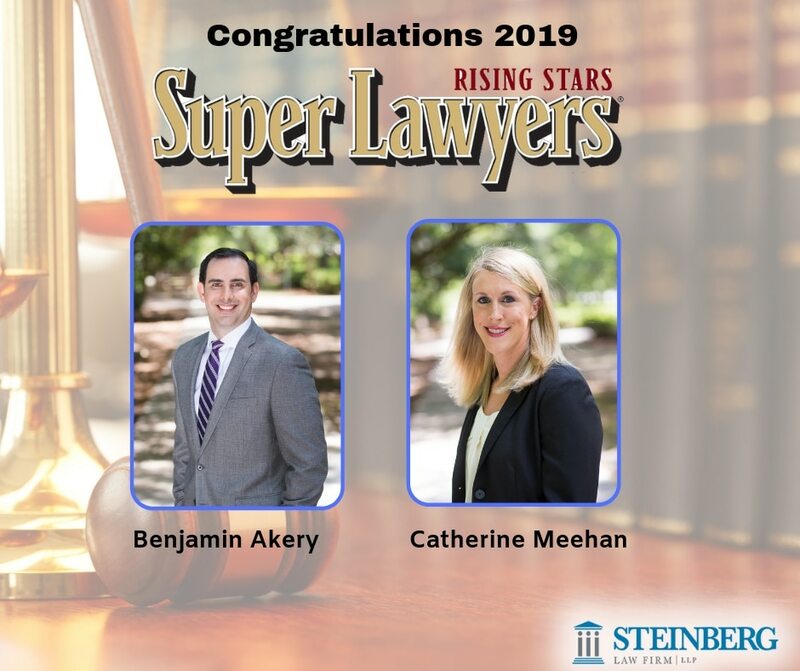 Steinberg Law Firm is pleased to announce that two of our attorneys, Catherine Meehan and Benjamin Akery, have been selected to the 2019 South Carolina Rising Stars List. 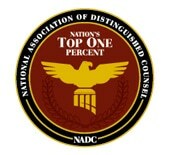 This exclusive list recognizes no more than 2.5 percent of attorneys in the state. Catherine’s training in the medical field and passion for the law is what led her to join the Steinberg Law Firm. She works with and empowers individuals who have been injured at work or in serious car accidents. Catie serves on the Charleston School of Law Alumni Association Board of Directors and the Strategic Volunteer Engagement Committee for Reading Partners South Carolina. She is a member of the Charleston Metro Chamber of Commerce, Junior League, the South Carolina Bar Association and its Young Lawyers Division. Catie and her husband, Jerry, live in Charleston with their daughter. Benjamin joined the Steinberg Law Firm 10 years ago on the principle that individuals deserved representation against forces bigger than themselves. Ben became a partner at the firm in 2016. At the Steinberg Law Firm, he is concentrating on personal injury, workers’ compensation, and social security disability law. He is an active member of Crosstowne Christian Church, serves as chair of the board of directors for Healing Farms, and lives with his wife Apryl and two daughters in West Ashley. The Super Lawyers and Rising Stars lists are published nationwide in Super Lawyers Magazines and in leading city and regional magazines and newspapers across the country, as well as the South Carolina Super Lawyers Digital Magazine. Please join us in congratulating Catherine and Benjamin on their selection to the 2019 South Carolina Rising Stars List.